EdgeCast streaming customers can now stream to Apple iOS 4 devices, which include the iPod Touch, iPhone and iPad. “Supporting video on demand and live streaming to iOS devices builds on our commitment to ensuring that our customers can deliver content to any user regardless of their format, location, or device,” said Ted Middleton, vice president of product management at EdgeCast Networks. Companies can now stream audio and video at very high speeds to any users of Apple devices; and audio and video can be delivered in a multiplicity of forms, whether streaming, delivering ‘live events’ or sending content that is fully encrypted. EdgeCast’s intelligent dynamic stream technology is supported by the media player that is pre-packaged into Apple device software. One of the most important ways that the technology operates in tandem with Apple iOS 4 is that the given Apple device will automatically toggle between bit rates, relative to the device’s speed of connection at any given moment. Ideally, this would result in a clear and steady picture, since the audio or visual quality itself would not suffer as the connection strength is enervated by any number of causes. Another virtuous function of EdgeCast’s tandem with Apple devices is that it also automatically routes users to the streaming server fastest for them. So if you find yourself within the broadcast area of many possible connections to the web with your Apple device, having to choose one on the basis of fiat while hoping that you have chosen the best possible connection is no longer compulsory, at least if the Apple device user is also a user of EdgeCast. This simply expedites business done with your Apple device while in transit, both by virtue of not having to sift through connections and the fact that the best possible connection is chosen by the technology itself. These two functions of the EdgeCast-Apple tandem prove very useful for in-transit situations, where one might be on a bus, riding in a cab, or on a layover in the airport; the reason being obvious, the fact that while moving one’s possible connections change as well. With one function that adjusts the bit rates of streamed audio and video and another that automatically connects to the optimal connection of all possible connections at a given time, EdgeCast’s tandem with Apple devices should prove to be a very virtuous one. 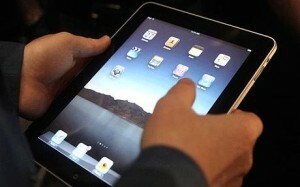 Apple’s iPad 2 to Ship by March 2011? Apple’s iPad, probably one of the biggest selling pieces of technology to come out of Steve Jobs’ empire since the iPod, is not only Apple’s biggest product but also one of the hottest selling pieces of tech in today’s market. The iPad is one portable device that everybody wants to get their hands on and one product that Apple has trouble keeping on store shelves. Now rumors have been floating around recently about a second generation iPad dutifully named the iPad 2. While many people aren’t expecting this product for a while, the tech world was shaken up when news surfaced that the iPad 2 would be shipping by the end of February 2011. Foxconn Electronics out of Shenzhen, China, was recently notified by Apple that they will ship the iPad 2 “within the next 100 days”. Initial shipments are said to reach between 400,000 and 600,000 units according to sources from component makers in Taiwan. However, Foxconn has thus declined to release any official comments. According to the sources, the iPad 2 is supposed to ship as early as the end of February 2011. Apple’s original plan for the iPad 2 was to begin mass production of the product in January 2011. This, however, doesn’t seem likely as the firmware of the iPad 2 is still undergoing testing. Foxconn has new plants in Chengdu but they are still in pilot production which means the iPad 2 will be primarily made in Foxconn’s Shenzhen plants. Foxconn’s upstream component partners have also been notified of the iPad 2 shipment schedule. Apple announced that it sold a total of 4.19 million iPads in the third quarter of 2010 which makes the iPad’s combined sales since release total 7.5 million units in only nine months. Apple is looking forward to iPad sales increases in the coming months due primarily to the holiday season but also because Apple will begin selling the iPad in South Korea and Latin America in the fourth quarter. On the flipside, the iPad’s shipments on the supply side of things are relatively higher than channel sales. This means that Apple could potentially come up with inventory issues. Despite this fact though, Apple has no plans to stop production of the iPad whatsoever. It is expected that Apple will shorten shipments after January 2011 to dissect inventory across the entire first quarter in order to launch the iPad 2 in April. If Apple follows through with this plan, we can expect a huge post-holiday increase in sales for Apple as many people will be rushing out to get their hands on the newer and, hopefully, better iPad 2. 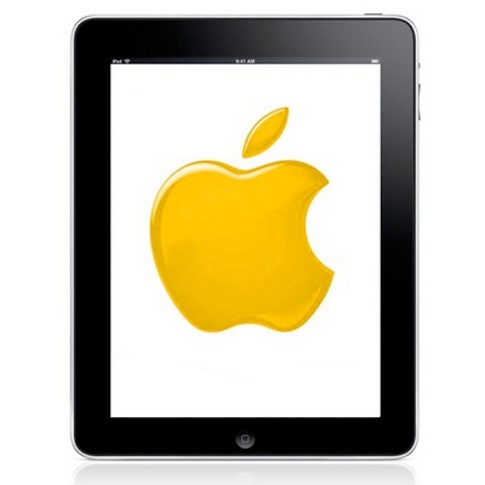 Keep checking back here for more news about the iPad 2 as well as all of Apple’s other products. Rentacomputer.com offers the unique option of having your software pre-installed on all of your Laptop Rentals. Products like an HP Laptop Rental are perfect if you need a laptop short term. Rentacomputer.com has been offering laptop rentals to more than 1000 cities worldwide for over 20 years. iPad Potential To Aid The Disabled, and What It Might Mean For The Human Condition In General. Few mainstream technological devices turn out to be practical tools that can aid the disabled, but for Owen Cain, a seven-year-old boy who has suffered from spinal muscular atrophy since infancy, the iPad has proven to be an efficient tool enabling him to communicate what was previously impossible for him. As an article in the New York Times recounts it, Owen made his first contact with the iPad when a nurse propped one in front of him and he touched the screen, activating the application Gravitarium. Since that moment Owen’s family has invested in an iPad along with additional software, providing him with new tools for learning and communication. “He has been experimenting with a variety of applications,” the article says, such as Proloquo2Go, which allows Owen to say things by prompting the iPad to utter various statements or queries, and also Math Magic, which enables him to work out solutions to basic quantitative problems. It is by virtue of how the iPad is operated that Owen can engage in activities such as these in a much more dynamic way; the fact that it is operated by touch provides him with a particular way of interacting with the world, which fundamentally expands his general capacity for being. Therein lies, what I argue, the philosophical implications that technology at large can have, and that it seems the iPad may very well be advancing in situations like Owen’s. The philosopher Heidegger in his work called Being and Time attempts to exposit the fundamental concept of Being and argues that insight into Being (and in particular, that of human being) is to be found in the comportment that one has with objects in the world. While this is by no means an adequate description of his philosophy, it suffices to note the underlying idea that this philosopher and others have hit upon in emphasizing the way in which humans behave with regard to the world, and its role in quite literally defining ‘human being’. Granted, Heidegger did not have technology like the iPad in mind per se, but his idea that the way in which we comport to the world defines ‘human being’ seems to have much to say regarding instances like Owen’s, where the iPad has played a defining role in augmenting his capacity for being in the world. If indeed technology has the capacity to open new avenues of engaging (and hence, being in) the world for those that are disabled, in what ways can technology augment or even redefine what it means to be human in general? The possibilities seem endless, but instances where mainstream technologies play such vital and defining roles in the lives of disabled individuals are inspiring reinforcements of the real capacity for technology to alter the human condition. While Owen’s case is certainly not the first instance of general-use technology aiding the disabled, it is just one more testament to the potential that technology in general has in augmenting the human capacity for being in the world, and the potential spans all humanity, not only to those who suffer from debilitating afflictions. Moreover, cases like Owen’s speak volumes of the potential for devices like the iPad to become staple devices in human livelihood. Click here to see the New York Times articles about Owen Cain and his iPad. Make your next corporate business meeting really shine with a Projector Rental from Rentacomputer.com. They offer a wide range of projectors including Hitachi Projector Rentals. Rentacomputer.com has been in the projector rental industry for over 20 years and delivers to more than 1000 cities worldwide.